SO – WHAT WILL YOU GIVE YOUR LOVE ON SUNDAY? 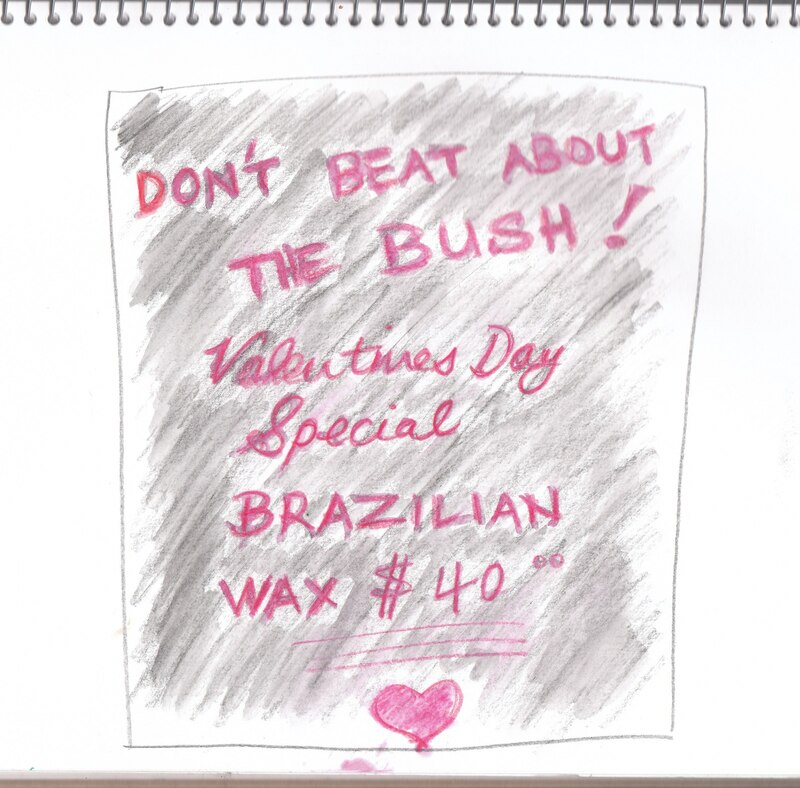 America has always been “big” on what we’ve come to call the Hallmark Holidays and I’ve noticed an increase in Saint Valentine’s Day marketing here in recent years. There’s not really much known about the old boy, but Wiki tells us this about him. And chocolatiers and florists and card sellers ring up huge sales. So, apparently, do some beauty salons… This was on a chalk board at a local shopping centre this morning. I’m not planning to have one, but I do hope they do a neater job of waxing than writing! I shant bore you with details…sufficient tweaking was done to get the old girl back home and The Man even managed 80 kmh, the posted limit on this stretch of the highway and it’s been a day or two since the Mustang blew that many cobwebs! Woo-hoo! A big “Freddo” frog, inside a broken tail light. If I’d been quicker I might have rescued him, but the banger, clearly not bothered about rough roads, other traffic or safety issues, bumped over the kerb and skidded around the corner. I hope Freddo ‘s sticky feet served him well! 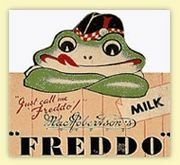 Here’s a very old Freddo I found at Wiki. 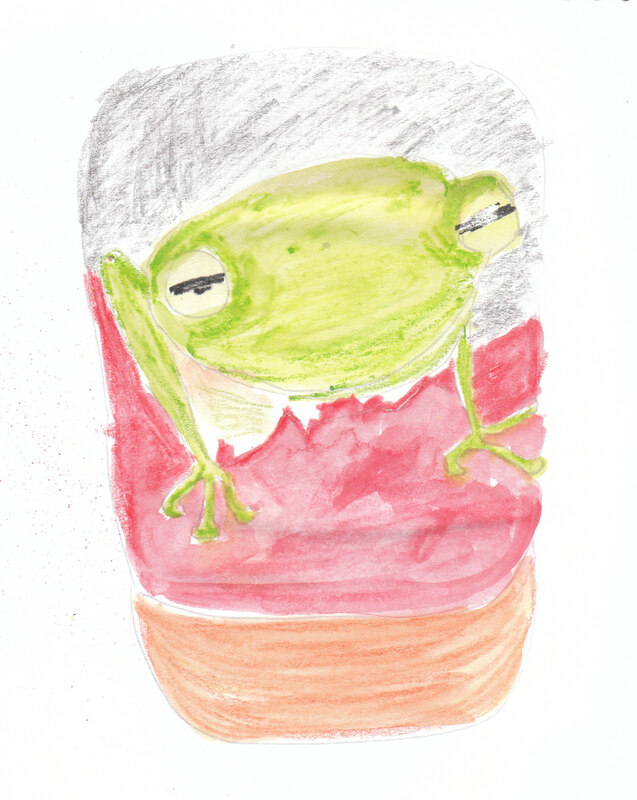 This is why these green tree frogs have the name. These sketches are so rough I wonder if I shouldn’t scrap them and do a better, more painterly job. Then I look at all the unfinished symphonies around me and think “oh! sod it!” They are only quickies, after all. 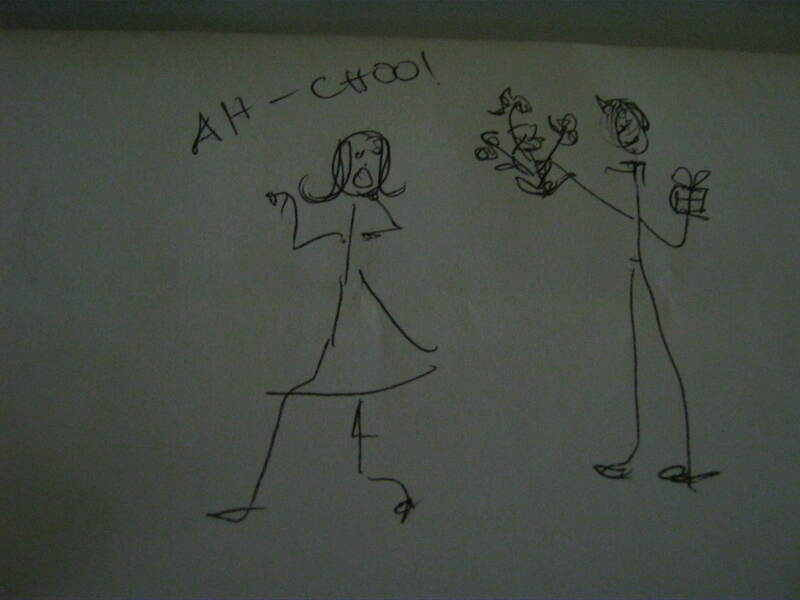 And, for my Blogger readers, I’m STILL having comment problems. So please just chat among yourselves. And enjoy the wonderful Bix.